Phoenix Golf Club Rental (“we”, “our”or “PGCR”) hereby agrees rent golf clubs or other golfing equipment to you in accordance with these Rental Guidelines. You may select products to rent or pick them up at AZ Golf Works or choose designated delivery locations. To reserve clubs customers must first enter information consisting of personal information such as flight information, name, address, home phone number, contact number while at your destination, email and in some instances a password. Customer’s personal information is held in a secure database and is not distributed or sold to any third party. Customer credit card information is entered into a secure protected site when paying for an actual rental or rental package processed through Authorize.net. Customers must first complete a customer information section on our website. Customers must have a valid credit card to reserve golf clubs with Phoenix Golf Club Rental and must enter their credit card information on the secure reservation form on our website or give the information to the PGCR representative over the phone. Reservations may be made up to 1 year in advance of the rental pick-up date. You are able to exchange your rental clubs for rental clubs of an equivalent value or greater value, by paying the additional cost, at anytime during your rental period subject to the same conditions as your current rental agreement and the availability of desired clubs. You hereby understand that while the golf equipment is in your possession, YOU ARE SOLELY RESPONSIBLE FOR THE EQUIPMENT RENTED TO YOU. You are to use the golf equipment for its intended recreational use only and not for any other reason. You shall not remove, alter, disfigure or cover up any numbering, lettering, bar code or insignia displayed upon the equipment, and shall see that the equipment is not subjected to careless, unusually or needlessly rough usage. You must return the equipment to us in the same condition as delivered, ordinary wear and tear resulting from proper use thereof alone expected. 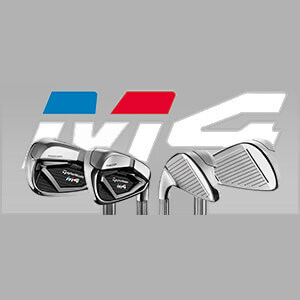 YOU AGREE TO NOT USE ANY OF THESE CLUBS TO HIT OUT OF NON-PLAYING AREAS OR DESERT TERRAIN. Customer will sign rental policy during check out and return of golf equipment. Please click here for rental club agreement and equipment costs. The rental or purchase of our golf equipment requires you to supply us with complete, accurate and current credit card information for a valid credit card for which you are the authorized user. By completing the check-out process, you authorize us or our agent to bill your credit card the applicable per-item or rental fees, any and all applicable taxes, and any other charges you may incur in connection with your use of the Website. The applicable rental fees will be charged to your credit card on the date your rental or purchase is initiated. We reserve the right to determine whether your credit card is pre-authorized to accept a minimum charge equal to the current retail value of the product in case you fail to return or you damage a product. The Rental Period is defined as that period of time, which shall be no less than one (1) day, for which you have reserved to rent golf equipment from us. The Rental Period shall commence in the morning on the day of your rental and shall terminate in the evening on that same day (unless your reservation is for multiple days, in which event, it shall terminate in the evening on the final day of your Rental Period). If you wish to extend the Rental Period at any time after 8:00 pm (local time) the day prior to the Rental Period, you may do so by calling customer service only. Pricing for the extension is subject to availability, and is only available via telephone inquiry. Cancellations may be made at any time before the actual start of the rental period. However, customers must give at least 14 days notice prior to the start of the rental period to receive a full refund. If less than 14 days notice is given but greater than 72 hours, customers will be given a credit equivalent to the original amount charged for their reservation which they can use for future reservations for 1 full year from the cancellation date. Cancellations made with at least 14 days advance notice will not be charged any penalties and the full rental charge will be refunded to their credit card. Cash refunds will not be given. Customers must call PGCR with their cancellation at 480-447-3366 or Toll free at 1-888-722-2143 or email to info@phoenixgolfclubrental.com. Rain checks are not offered. Rental package holders not giving 72 hours notice of rental cancellation will not be refunded. The customer renting golf clubs from PGCR agrees to pay for any damage to the clubs they are renting that is not considered normal wear and tear. Normal wear and tear to the clubs includes (but is not exclusive to) scratches on the bottom of the club head, tee marks on the club head, and grip wear. Clubs will be inspected by a PGCR representative prior to the rental pick-up. A copy of the pre-rental inspection report will be included with the clubs upon pick-up. The customer is advised to inspect the clubs, read the inspection report and mention any discrepancies to the PGCR representative before taking the clubs so customers are not charged for loss or damage they have not incurred. Upon return of the clubs the customer is responsible for reporting any loss or damage to the clubs. Failure to report loss or damage to the clubs will result in the customer’s credit card being charged an amount equivalent to the replacement or pre-rental condition repair cost. The amount charged to the customer’s credit card will be at the discretion of PGCR, however, PGCR will advise the charge with the customer prior to the their credit card being charged and the customer will not be charged for damages due to factory defects. All clubs suspected of having factory defects will be inspected by PGCR personnel prior to any charges assessed to customer. All deliveries and pick-ups must be done online or over the phone, 72 hours in advance using address pick up and drop off location, time of day for each. Unless prearranged with PGCR all drop offs of rental clubs will be to AZ Golf Works at 1920 E University Dr #106, Tempe, AZ within business hours. If clubs are to be picked up or dropped off at a site other than the AZ Golf Works store these arrangements must be finalized online or alternatively by phone to 480-447-3366 or Toll free at 1-888-722-2143 or via email to info@phoenixgolfclubrental.com. These arrangements must be made at least 72 hours prior to rental start date or pick up date and must be confirmed with PGCR by phone or email as per paragraph above. 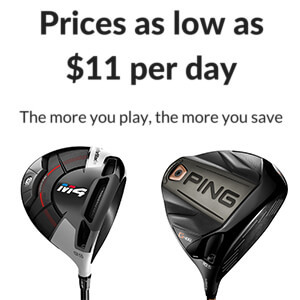 All deliveries or pickups are subject to an additional $6.00 charge for deliveries less than 3 sets of clubs. PGCR will not be responsible for non-accidental damage beyond normal wear and tear, loss due to theft, force of nature or loss due to fire. The customer agrees to indemnify and save harmless PGCR from any claim. PGCR will not be held responsible for any damage or bodily injury incurred upon anything or anyone by the rental clubs. PGCR will from time to time offer promotion codes to individuals, groups of individuals and companies which the customer can enter on the PGCR website upon checkout. In no event shall PGCR be liable to you for any amount exceeding the rental fee.